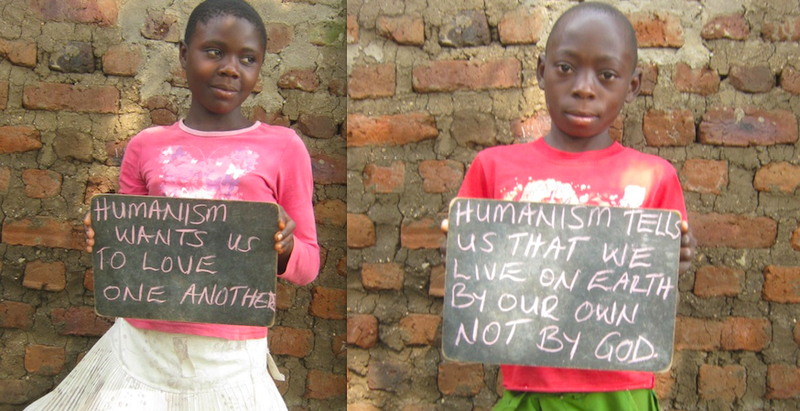 Brighter Brains Institute provides secular humanist education in multiple African nations. We promote the ideals above from the book Global Ethics: Ten Humanist Principles, written by Canadian scholar Rodrigue Tremblay. Promoting science-based humanism in SubSaharan Africa provides a progressive option to the region's 920 million people - the grim alternatives are 1) traditional African 'witchcraft' with dangerous superstitions: albino-killings, child sacrifice, female genital mutilation, etc. 2) fundamentalist, homophobic, anti-birth control Christianity, 3) repressive Islam with extremist groups like Boko Haram. We collaborate with, support, and/or receive support from numerous like-minded organizations, including Center for Inquiry, Atheist Alliance International, THE FREETHINKER, Humanists Canada, Atheist Community of San Jose, Humanist Community in Silicon Valley, Halton-Peel Humanist Community, Humanist Association of London, Ontario Humanists, (IHEU) International Humanist Ethical Association, HAAM (Humanists, Atheists, and Agnostics of Manitoba); Every Nigerian Do Something (ENDS); and hundreds of individual donors.